It’s no secret, if you’re an athlete, a gym rat or someone who simply wants to look a little better the higher you can increase testosterone the better off you’ll be; after all, testosterone is the primary anabolic hormone. When we’re trying to increase testosterone the first thing that often comes to mind is anabolic steroids, as this is one of the primary roles but there are actually many things we can do to increase testosterone besides regular injections. Make no mistake, if one needs or desires to increase testosterone anabolic steroids will always be best in-terms of ability, nothing else will come close but we can naturally provide small incremental increases if we follow certain principles. However, in the grand scheme of things, while these applications will prove to be useful where they really shine is aiding in staving off low testosterone; no, it is no guarantee but in greatly improves your odds. You’ve heard the old saying, “nothing is more anabolic than food” and that’s quite true; when it comes to growth and performance nothing on earth can beat or replace food. In that light there are certain foods that have been shown to have a positive effect on our natural testosterone levels and many studies have indicated that individuals who consume diets rich in these foods often increase testosterone production. The same can be said in the opposite direction; certain foods have been shown to have the opposite effect and if you’re trying to increase testosterone or at least maintain it they will be the foods you want to avoid. From looking at the list you may be a little concerned with cholesterol, especially when we consider red meat and whole eggs to be our two primary food sources. Do not let your heart fret, the idea of these foods being unfriendly to cholesterol levels has long since passed and neither will increase LDL levels; assuming you’re not covering your steak and eggs with oils, butter, massive amounts of cheese, etc. The next step is going to be to avoid certain foods; no, we want list these out or you’d be reading for the next three and a half weeks but we can give you a pretty good idea. Saturated fat has been proven to be something you need to increase testosterone but it needs to come from the right sources such as the ones above; the saturated fat you’re getting at your favorite fast food chain is not such a fat. Further, processed foods in general have been shown to be horrific on how they affect testosterone production so the moral of the story is simple; don’t eat out so much and stay away from processed food; it’s really that simple and there’s not much more to say. There are three major factors beyond food that can greatly affect our testosterone levels; our physical activity level, stress and alcohol consumption, the most important being physical activity. Men who are more active than other men naturally maintain higher levels of testosterone and it has been shown that physical exercise, most notably weight training greatly boost testosterone production. For the individual who needs or desires to increase testosterone production beginning a regular and scheduled workout routine should be one of the first orders of business. Stress and alcohol; we have stress in our life and so we drink to ease the load yet alcohol has been shown to be one of the most damaging things on this earth to testosterone production when consumed on a regular basis; not only does it damage production but it promotes fat gain and destroys muscle tissue. However, responsible alcohol consumption is an easy thing to control whereas stress can be a little tricky. Stress doesn’t simply mean worry or concern; although that is a role we’re more concerned with physical stress, the lack of sleep and rest and physical stress that can be caused by just those things. When our body is in a state of stress we end up releasing larger amounts of stress hormones known as glucocorticoid steroids and if you’re trying to increase testosterone this is going in the wrong direction. The bottom line is simple; there’s nothing magical about increasing testosterone levels, there’s no secret you haven’t been told, there’s no special workout or hidden secret only the elite know about. 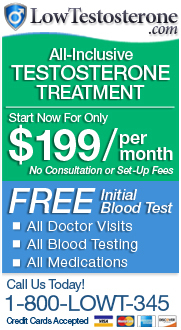 If you wish to produce a higher level of testosterone or at least maintain what you already have simply following a healthy lifestyle will do more for you than anything else, in-fact, short of injecting the primary anabolic androgenic steroid testosterone this is pretty much your only worthwhile option. Yes, it is worthwhile and very much so but you need to have understanding. Understand how to maximize your nutrition with your daily life and see your testosterone levels better off than your friends.